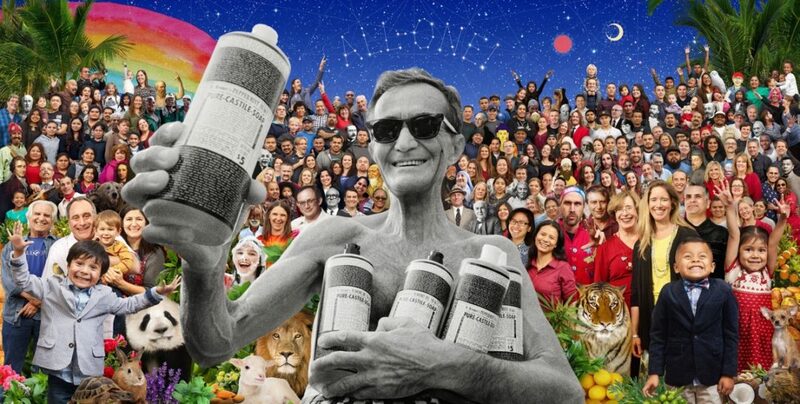 Movement Media works with Dr. Bronner’s to develop and publicize many of the campaigns and initiatives summarized in Dr. Bronner’s annual All-One Report. The report explores the breadth of the company’s mission and impact in creating meaningful social change on a variety of issues around the world. The All-One Report is a collection of writings by company leadership and staff providing information on Dr. Bronner’s progressive business practices and sustainability programs, their commitment to organic and fair trade sourcing, as well as future sustainability goals. The report also details the company’s financial contributions to charitable and activist causes, including GMO labeling, drug policy reform, animal advocacy, and the re-commercialization of industrial hemp. Structured after the 6 principles that guide Dr. Bronner’s All-One mission, the report’s chapters focus on the company’s commitment to: Work hard and grow, do right by customers, treat employees like family, be fair to suppliers, treat the earth like home, and fund & fight for what’s right!